Former United States Senator Richard Lugar received the 50th Anniversary IUPUI Chancellor's Medallion from Chancellor Nasser H. Paydar at the Report to the Community on January 24, 2019. This award recognizes Senator Lugar's significant contributions to improving the lives of Hoosiers, for ensuring the safety and security of Americans across our nation and for the role he has played in the 50 years of impact IUPUI has had on a local, national, and global scale. This is Senator Lugar's second Chancellor's Medallion. He received his first from Chancellor Charles R. Bantz on the occasion of IUPUI's 40th Anniversary. As mayor of Indianapolis from 1968 to 1976, Mr. Lugar championed the creation of a university in downtown Indianapolis. With the combined efforts of community leaders and the presidents of Indiana University and Purdue University, Mr. Lugar's dream for a downtown university was realized with the establishment of IUPUI. 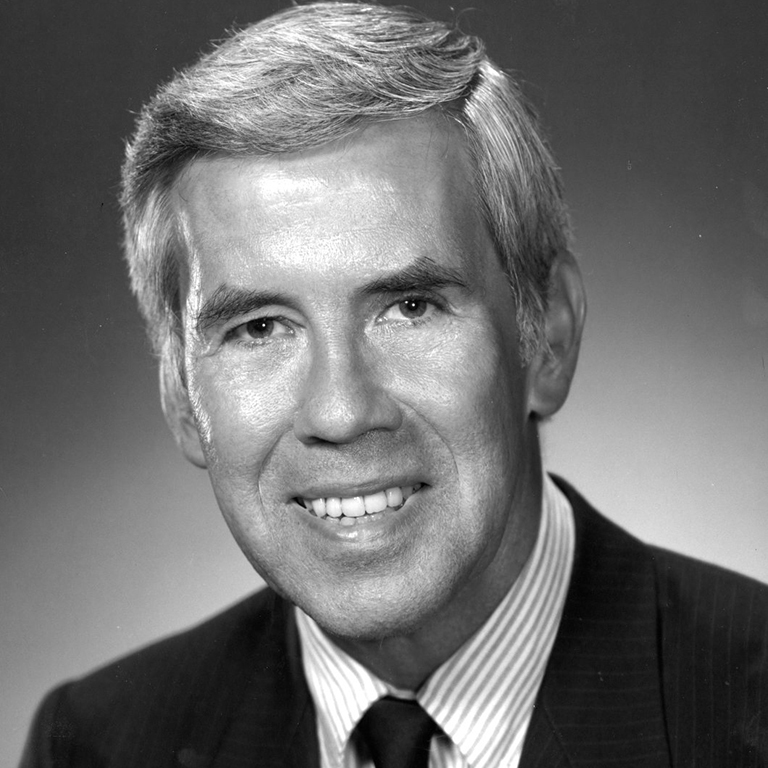 In 1977, Mr. Lugar was elected state senator in Indiana. He held his position for six terms, becoming the longest-serving senator in Indiana's history. Mr. Lugar exercised leadership on critical issues such as food security, nuclear non-proliferation, energy independence, and free trade. After leaving the Senate, Mr. Lugar created a nonprofit organization, The Lugar Center, which specializes in the policy areas he pursued while in office. Mr. Lugar serves as a professor of practice and Distinguished Scholar at the Hamilton Lugar School of Global and International Studies at Indiana University. He is also a co-chair of the IU International Advisory Committee. The Richard G. Lugar Center for Renewable Energy is located on IUPUI's campus and housed in the Purdue School of Engineering & Technology.